Raymond asks, what is the difference between neutral and earth wires? The neutral wire or “earthed conductor” is a normally current-carrying conductor, similar in many ways to a phase wire in that it will carry the same amount of current in single phase system. It is earthed (connected to the earth) at the center-tap point of transformer for a number of very complex reasons. The neutral conductor is isolated from accidental contact because it is a very dangerous normally current carrying conductor. The earth wire is a normally non-current carrying conductor, designed to carry the electrical energy should a fault occur. This normally non-current carrying conductor is also bonded to every exposed metallic part in your structure, to ensure that there are no hazardous differences in potential on the objects you touch. You should be able to touch exposed earth wires with no concern, although all exposed wires should always be treated as live and dangerous. The reason for the neutral wire is to carry electrical currents back to the transformer during normal operations, in a manner that keeps those hazardous electrical currents away from people and exposed metal objects. The reason for the earth wire is to eliminate any differences in potential on the exposed metal objects you might touch, and to carry return currents back to the transformer in case of an electrical fault (the unintentional contact of electrical currents to exposed metal objects). 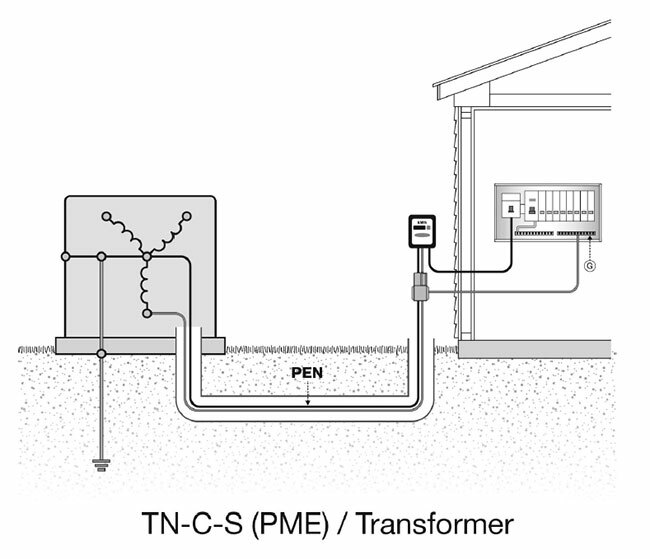 In regards to the earthing electrode connection, a simple receptacle tester would not detect the presence of an earth rod, it only checks to see if the earth spade of the outlet is in an open condition (high resistance). Of interest is that your electrical system should function safely even if your entire structure were lifted into space. The physical earthing wires would ensure that your electrical circuit breakers would still trip, even if you had no earthing rods and were not connected to the earth at all. The reason for the earth connection has to do with the needs of your local utility company, and a need to remove stray harmonics and other forms of objectionable current. 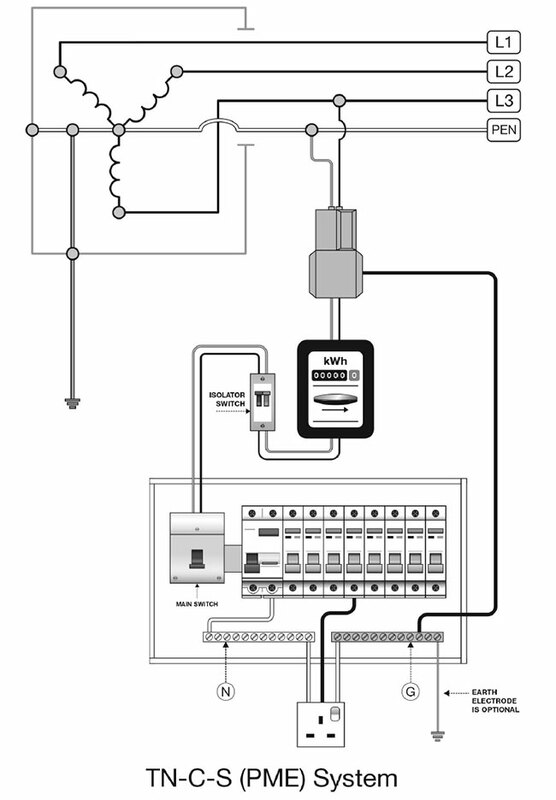 In the International Electrical Code (IEC) they call a ground wire a “Protective Earth” or PE. 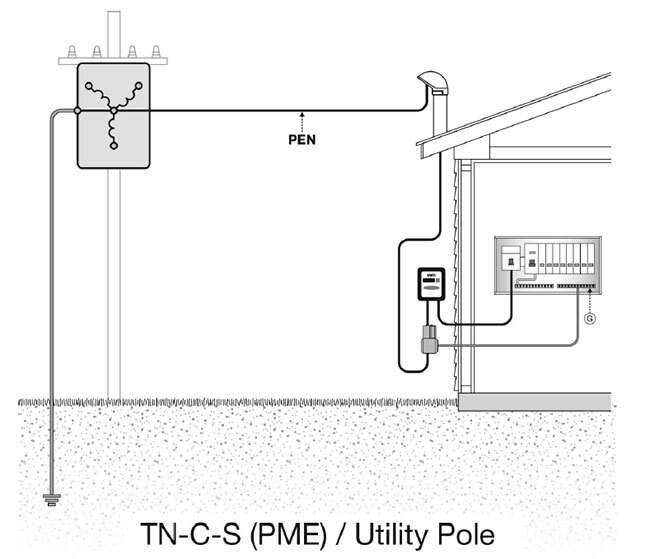 The Neutral is called a “Neutral” or N. When the power company only brings over normally current carrying wires (phase and neutral only), they call the neutral wire a “PEN conductor”, because it is both a Protective Earth (PE) AND a Neutral (N). They define this type of electrical system as a “Combined” or C. Meaning that the neutral and protective earth is Combined. When you split the neutral and PE into two separate entities, they call it a Separated or S system. When the power company bring over a PEN conductor and you split it into two in your electrical cabinet, they call that electrical system a C-S, or “Combined then Separated” system. Please see attached document. What is the the advantage of isolating power supplies return from the unit, and earth the signal shields at the unit enclosure ground? What can occur when the neutral is ran in a separate emt conduit from the hot wire. Is it hyteresis?